Living as hunter-gatherers on a remote Indonesian island, the Lamaleran people are among the last subsistence whalers in the world. But as the modern world creeps closer, many worry their traditions and very identity is under threat. Writer Doug Bock Clark spent time living with the Lamaleran people, where he learned about a vanishing way of life. Off the coast of a remote Indonesian island, about 2,000 kilometres east of Jakarta, a motor boat hums in the background. Nearby, men on 11-metre-long wooden boats stand in their vessels, scanning the horizon for any sign of whales. Suddenly, as one surfaces, the humming of the motor grows louder. The men in the wooden boats row, row, row, as the fleet converges. 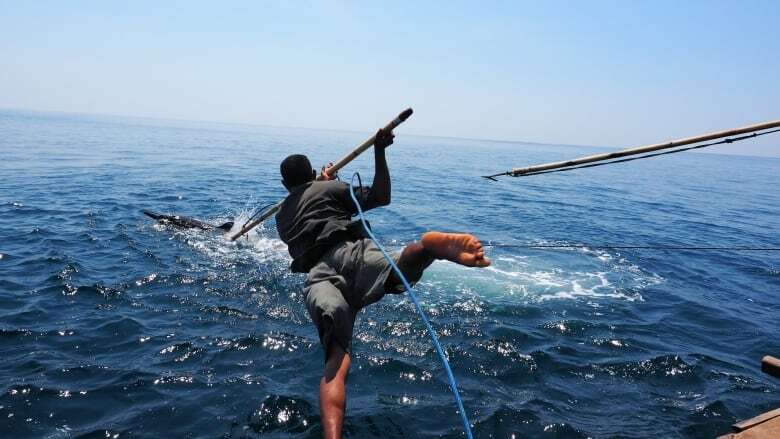 When the moment is right, a harpooner raises a five-metre-long bamboo spear into the air and leaps off the boat's bow, using his body weight to strike the animal. 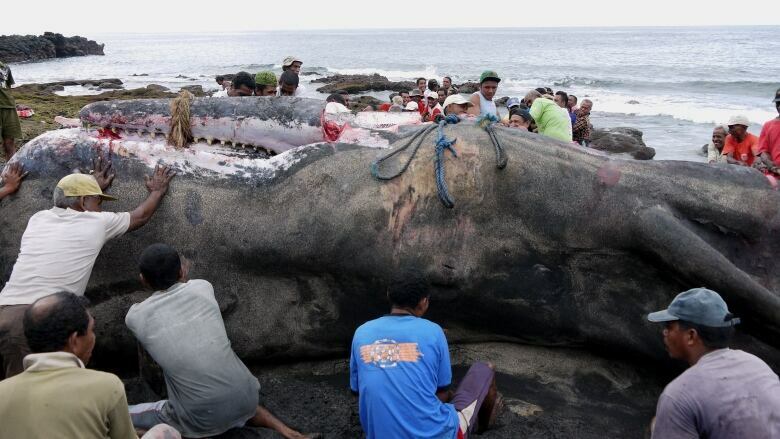 Each year, they harvest around 20 sperm whales to be shared equitably among their community of about 1,500 people in the village of Lamalera. 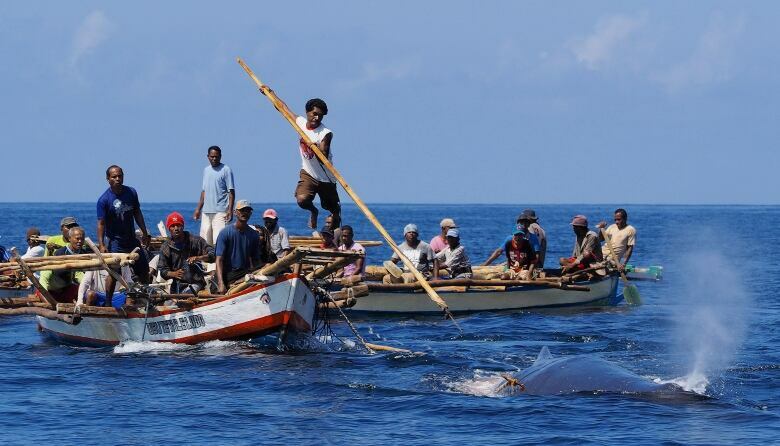 They're among the last subsistence whalers in the world. But as the world around them continues to change, their community is grappling with how to balance tradition with modernity. According to writer Doug Bock Clark, who spent time living with the Lamaleran people, they're not the only ones facing this dilemma. 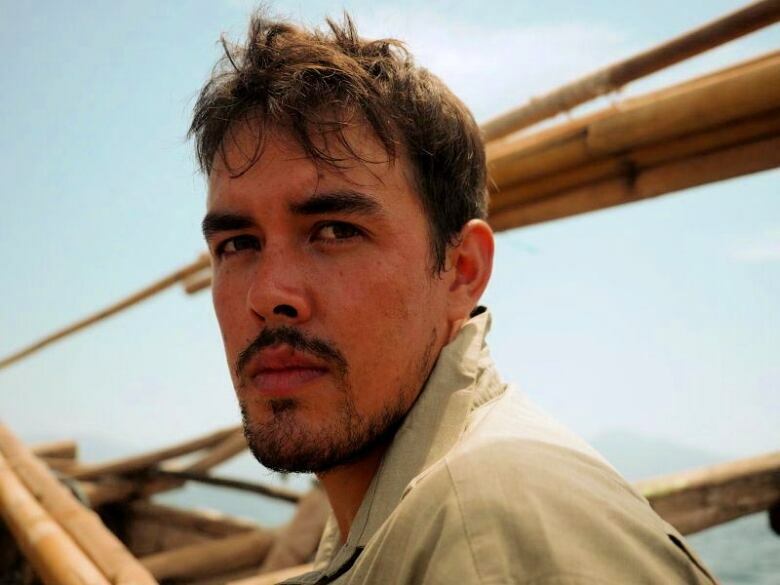 "The Lamalerans' experience is very indicative of the challenges that Indigenous peoples worldwide are going through," said Clark, who documented his experience with the Lamaleran community in his book The Last Whalers: Three Years in the Far Pacific With An Ancient Tribe and a Vanishing Way of Life. "There are many, many groups the world over who continue to live traditional lifestyles," he told The Current's Anna Maria Tremonti, "and all of these groups are facing incredible pressure to join industrialised ways of life." The Lamalerans are a hunter-gatherer community. While they still build hunting boats using ancient traditions, they've also adapted to use some smaller crafts with motors. Recently, the community acquired a cellphone tower, said Clark. During the rainy season, when it's difficult to hunt, young men have been allowed to leave the community to work construction jobs, bringing back ideas from the outside world when they return. How much the community adapts their ancestors' way of life to the modern world is a "constant negotiation," said Clark. "There are different groups of people that want differing amounts of modernization," he said. 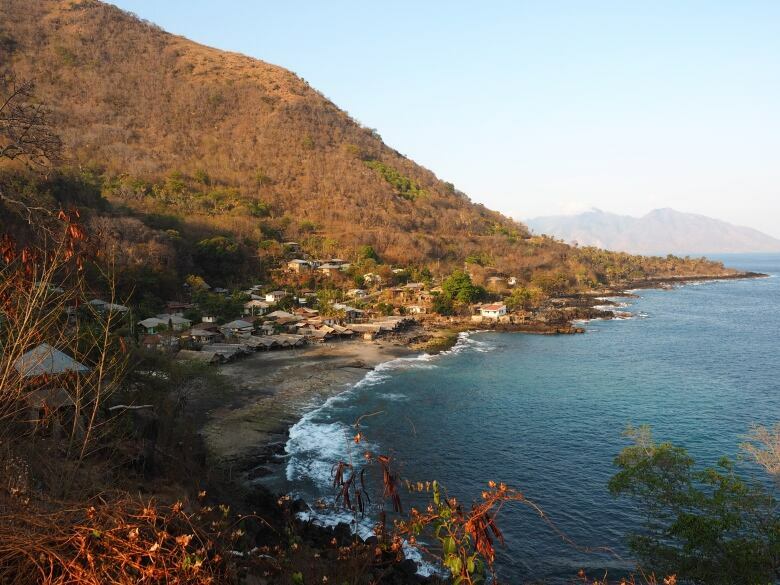 While there are young men who the community envisions as promising harpooners, for example, those young people sometimes have other aspirations, such as living in large, modern towns. "That process of figuring out how much of the outside world they want to bring … and what they want to reject is very much a key to their success in keeping their traditions alive," Clark said. That's why the community has created a council of whaling-aged men who discuss the pros and cons of different changes they might allow. Meanwhile, as young people experiment with living in the outside world, they are seeing the value of strong communal bonds and their ancient ways of life, said Clark. The author believes the Lamalerans allowed him to share their story so outsiders can see what life is like for them, and why they do what they do. "Increasingly, as they see what's changing in the outside world and how the outside world is putting pressure on their traditions, they sometimes feel threatened by it," said Clark. "They hoped that if the world better understood that, then they might have a better chance of keeping those traditions alive."